Mix and match and design your own necklace. 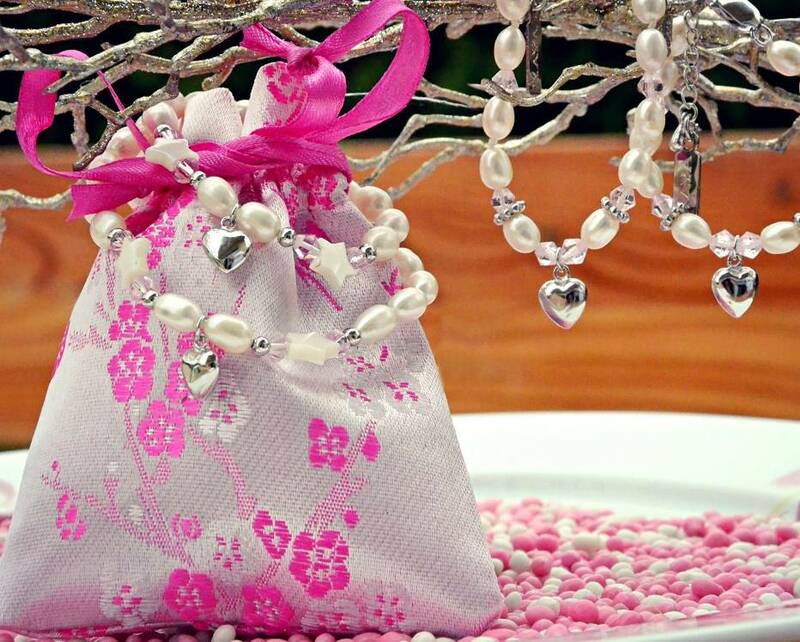 This 'bundle of love' is the perfect gift for Mums. 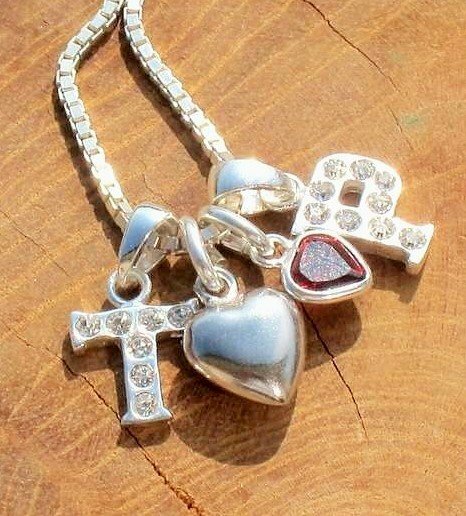 Choose two initials of your child (or another special person) and the colour of the little crystal heart charm. 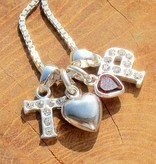 The other charm is a silver puffed up heart. You can add even more initials. Made of genuine .925 sterling silver and cubic zirkonia. ♥ KAYA uses solid .925 Sterling Silver for both the chain and the charm. The chain measures 40cm or 45cm, and is a boxlink chain for a modern look. ♥ The initial charm is adorned with cubic zirkonia for extra sparkle. Choose extra initials for added personality and style. 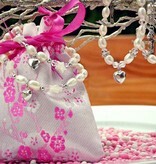 ♥ We gift wrap the jewellery in a pink satin jewellery pouch, presentation-ready. ♥ Contact us (use the chatbox on the bottom right, or email us) to tell us if you want a different chain from this boxlink chain, like a modern silver snake chain or a silver trendy ball chain.